Some of the architectural wonders from this collection are delicate and remind us of nature or man-made objects, whereas others are so otherworldly and futuristic that one starts wondering whether the future is upon us. Scattered all around the world, all of these buildings have one thing in common: they were all built to be seen and admired. Whether or not you’re a fan of architecture and design, we guarantee that you will fall in love with at least one of these architectural gems, that’s how good they are. Emerging from an artificial lake in the middle of the city park, this delicate building is actually a governmental facility. It is a fully functioning complex that has several exhibition halls, meeting and conference rooms. Currently it hosts the department of the city’s planning bureau. The building is considered to be both an architectural work and a sculpture, with the intricate metal lotus petals gently hugging the glass windows of the building. 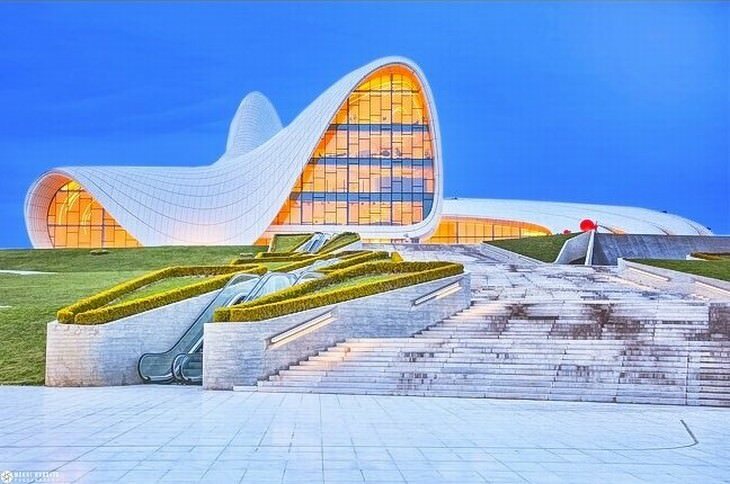 This masterpiece was created by the Iraqi-British celebrity architect Zaha Hadid. It is noted for its distinctive architecture and an unusual combination of soft curved lines suddenly folding into sharp angles, much like a piece of fabric. The architect herself pointed out that she intended for the building to complement the natural topography of the landscape. Inspired by the first schematic drawings of the atom, this angular crystal sculpture is no sculpture at all. 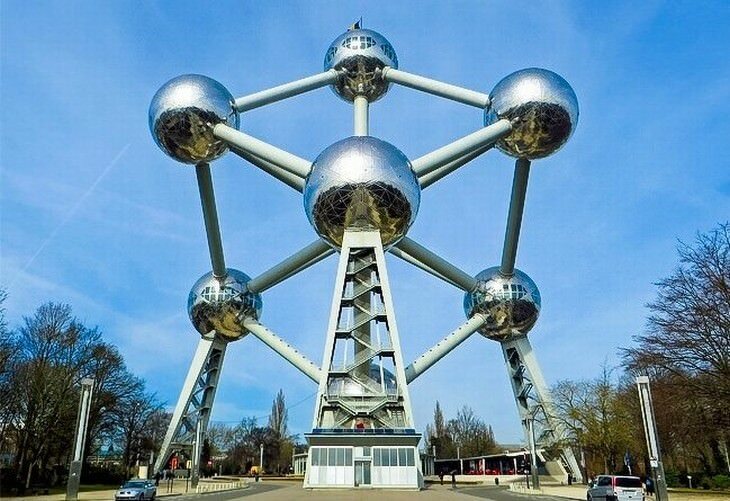 The Atomium is a landmark building that was originally constructed for the 1958 Brussels World’s Fair. One of the oldest buildings in this selection, The Atomium functions as a popular museum and restaurant today. How is it possible to create a building that is both modern and traditional? 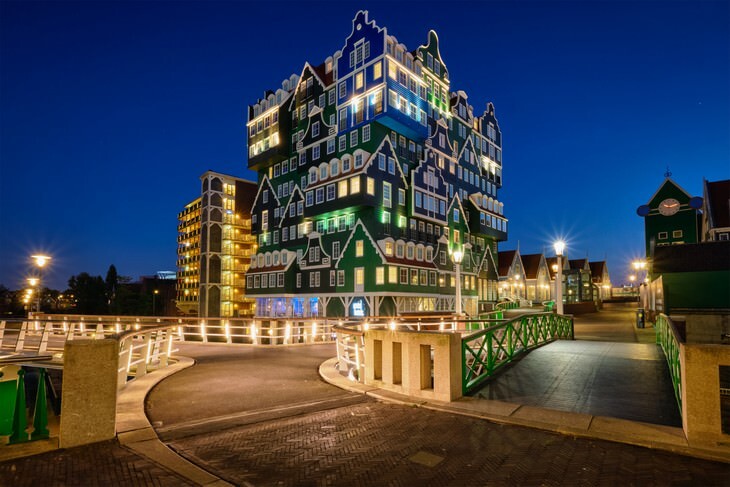 The design of the Inntel Hotel in Zaandam offers one answer to that question. The green, white-lined wooden houses are a traditional feature of the Zaandam region in the Netherlands. To give the building a surreal twist, WAV Architecten built a hotel that looks like a pile of such traditional houses, carelessly stacked together one on top of the other. The design was so successful that ever since its opening in 2016 and until now, the hotel is always fully booked. 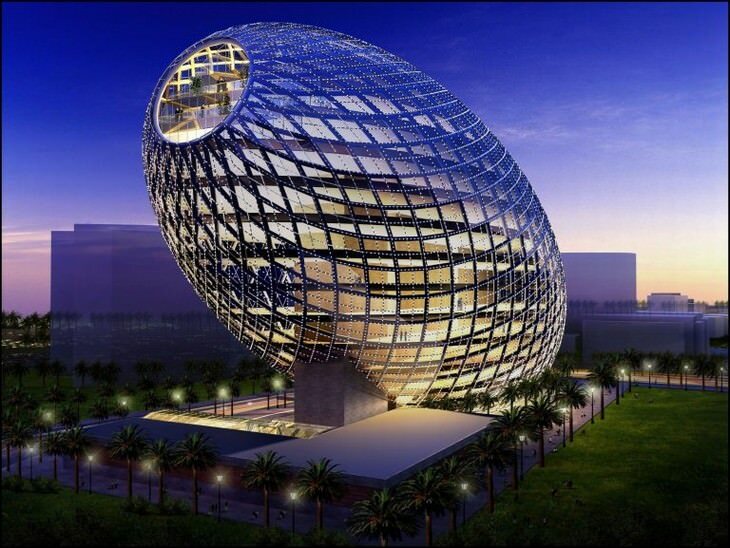 Truly a design of the future, the Cyberculture Egg is a 13-storeyed office space with 33,000 sqm office that looks like a futuristic space ship. Aimed to unite functionality, design, green features and interactivity, this building completely rethinks the cyber space and culture in Mumbai. The design takes up very little space on the ground relatively to its size (10-20% of an ordinary building). It also contains solar panels, turbines capable of harnessing energy from the wind and a full-scale greywater recycling station, which make it an example of sustainability. This 35-storied building is one of the tallest structures in Abu Dhabi. However, the most interesting feature of this building isn’t its height or even ingenious exterior. 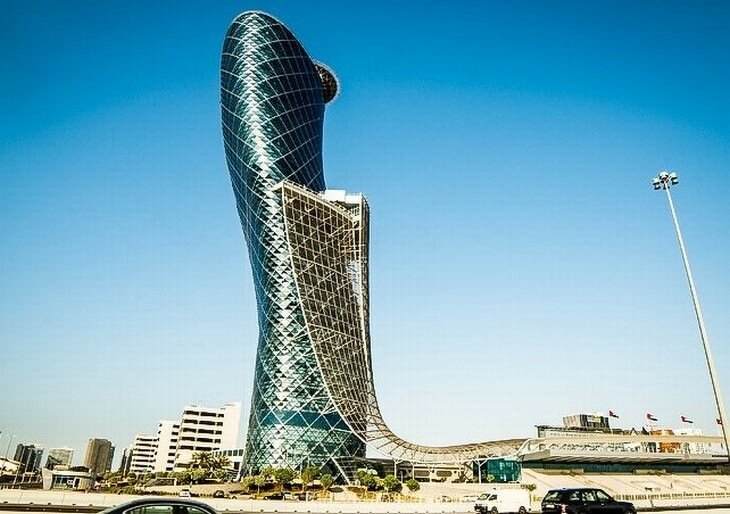 Capital Gate is most famous for the angle at which it is built. In fact, this building holds the Guinness record for “the world’s furthest leaning man-made tower.” It leans almost 18 degrees off-center. To compare, the famous Leaning Tower of Pisa leans only at an angle of 4 degrees. Doesn’t this quirky building look like a friendly alien? Because that’s exactly what the locals called it, and the nickname stuck because that’s what most people call it ever since. 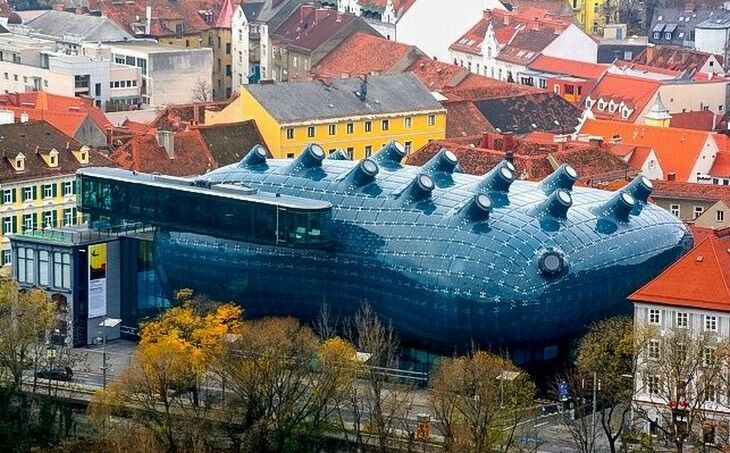 Frequently compared to zeppelin, an amoeba, or a strange underwater creature, the Kunsthaus is actually a modern art gallery specializing in contemporary art starting from the 1960’s and onwards. At night, the glass exterior of the building flickers with numerous ring-shaped lights, which with no doubt, adds to its otherworldliness even more. 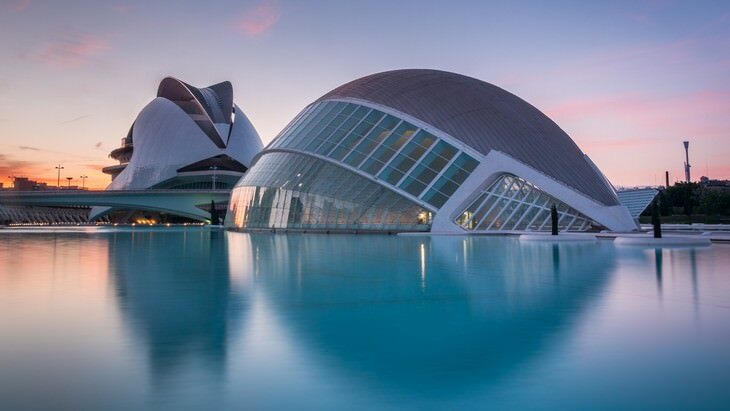 This seemingly-sunken building may look unproportionate and weird, but it is considered an architectural masterpiece and one of the main attractions in Valencia, Spain. The building is a real entertainment powerhouse: it features an interactive museum with frequently-changing exhibitions, an educational science center, several halls for various workshops, an IMAX dome, an oceanographic center. Both for its design and function, The City of Arts and Sciences was titled as one of the 12 Treasures of Spain. An interesting fact about the building is that it is situated in the place where the riverbed of the river Turia once was. The river was drained and redirected because it caused a catastrophic flood in 1957, but the riverbed was transformed into a beautiful park. 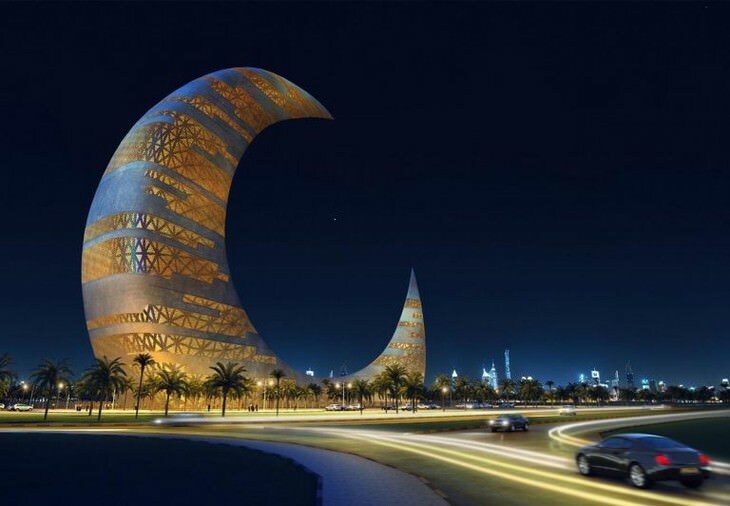 It is as if the crescent moon fell and landed in Dubai, right in the middle of Za’abeel Park. This 33-floor building is an entertainment center situated not far from Burj Kalifa, the highest building in the world, and the Dubai world trade center. It is a very interesting sight, but we’d suggest to visit it at night to see it in full bloom. 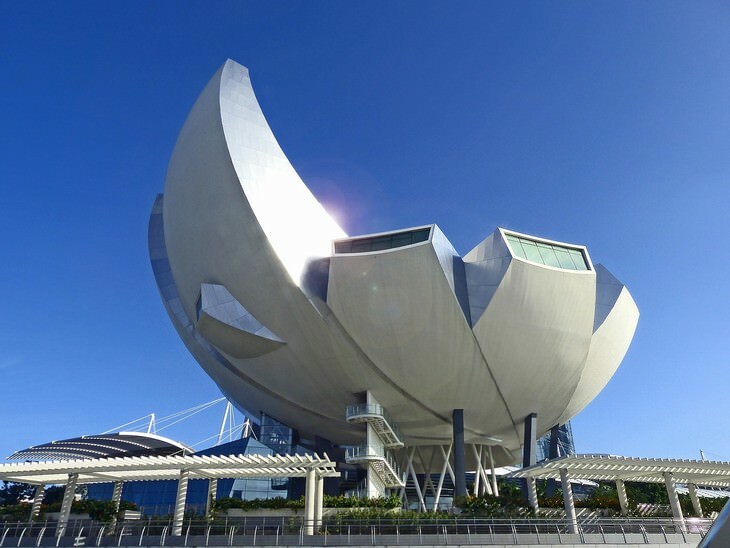 This is the world’s first ArtScience museum, which combines various exhibitions both permanent and temporary, many of which are interactive and are not limited to one field (history, physics, art exhibitions and music concerts are all under one roof). 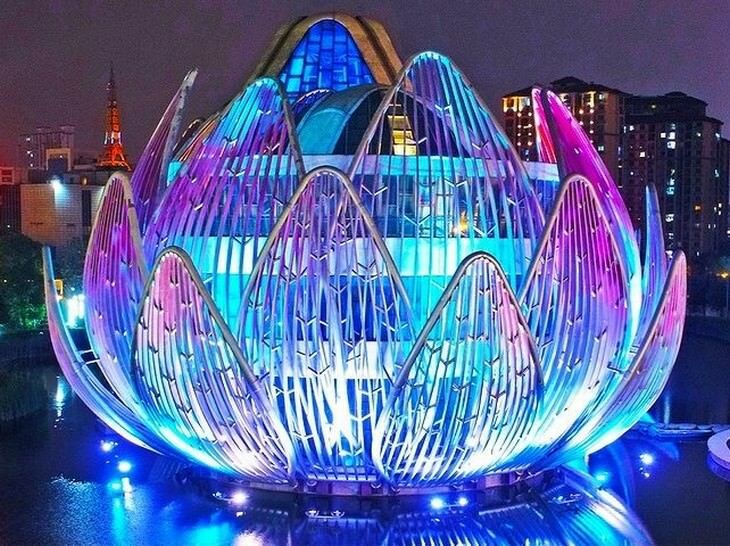 Dubbed as “The Welcoming Hand of Singapore” , the design of the building is actually inspired by a lotus flower, and not a hand. An interesting sustainability feature of the museum is that there is a water drain in the middle of the roof, which collects rainwater. The water collected is then used in the museum’s toilets. 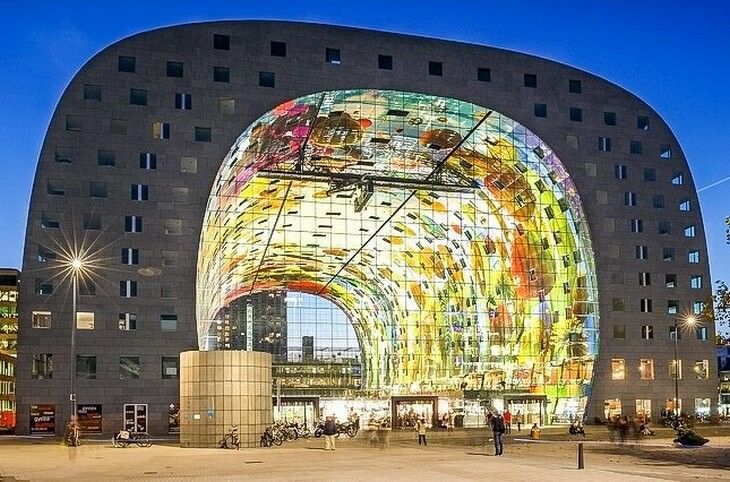 The Markthal is an apartment complex, where individual living spaces are arranged into an arch. The building itself provides a shaded and protected area underneath the arch, which was turned into a kind of a market, where visitors are able to shop, enjoy a meal at a restaurant, enjoy a drink, park their car and live, all at the same time. So this building is a great example of creating a modern communal living space. The inside of the building is covered by a mural by Arno Coenen, featuring different natural objects: fruits, vegetables, seeds, fish, flowers, which definitely adds to the cheerful “market” atmosphere. Often called “the most romantic building in China”, this musical duo is a popular space for newlyweds to take wedding photographs. The transparent violin is made of glass panels. 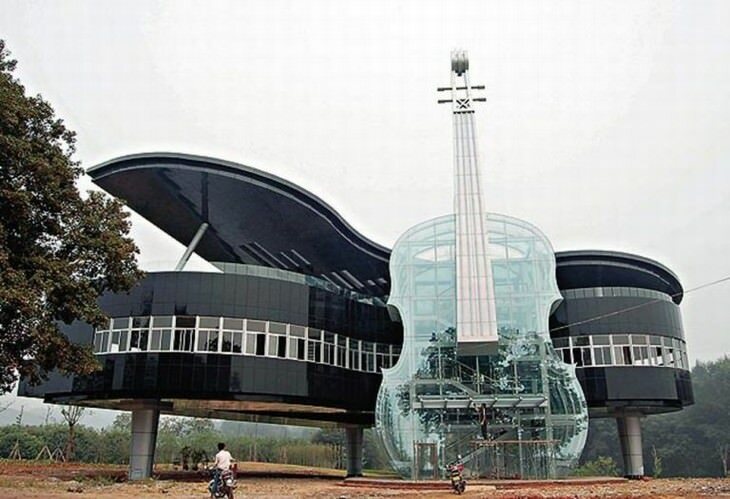 The violin contains the escalators and a staircase, which lead to the piano, which accommodates 2 halls.The building is used as a showroom for exhibiting development plans for the students of the Hefei University of Technology and to host concerts (clearly). 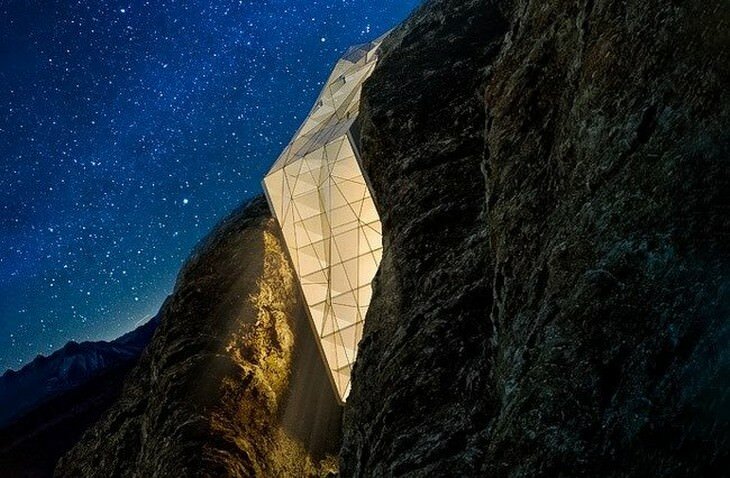 The design of this cliff side hotel hasn’t been realized just yet, but we can’t wait for it to come true, as we can’t wait to experience how it feels to live in a glacier-looking glass hotel on the edge of the towering Alps. 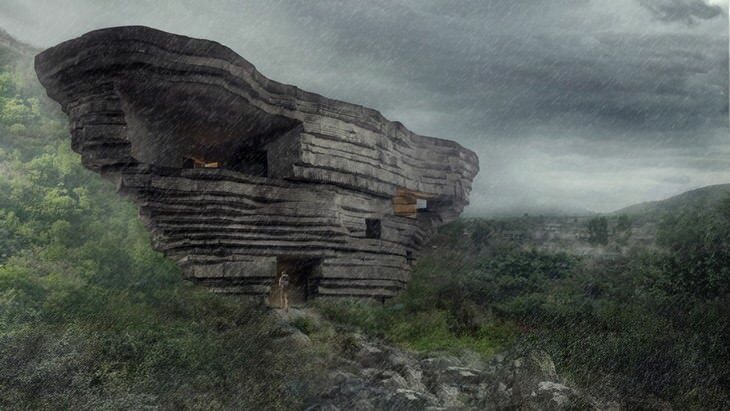 If this design will be built, or rather, when it will be built, we are sure it will be one of world’s top-ranking clifftop hotels. This apartment complex may be minimalist, but it is definitely very eye-catching. 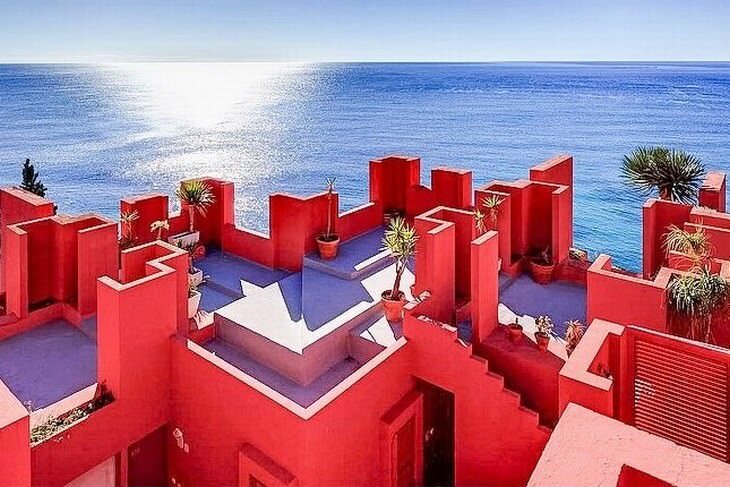 It was featured in a few films and can be literally translated as “the red wall” from Spanish. The building was inspired by traditional Mediterranean architecture, but with an Esher-eque labyrinth twist. From the other side of the building, there will be a big stage. The acoustics of the design were replicated from sea shells and human ears, both of which have distinguished sound amplifying properties thanks to their shape. We hope you liked this article. We love writing about architecture, and this article about 11 Stunning Skyscraper Designs is another example of our genuine love to weird and unusual buildings. CA Dr. VISHNU BHARATH ALAMPALLI. CA Dr Vishnubharath was Born on 2nd Feb 1952 in an illustrious family of businessmen and acquired B.Com, FCA at the age of 21 years, youngest to pass CA in Institute history. Figured in an All India Merit pst, both Inter and Final CA Exams. CAN THERE BE ANY LIMIT TO CARRY?